Reginox Brooklyn Chrome Kitchen Tap available from PlumbNation is a dual lever, Victorian style tap. 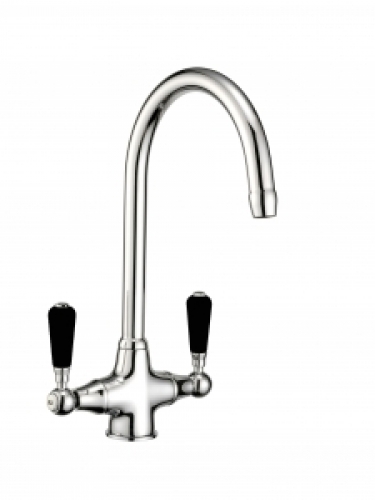 The solid brass body provides a very strong and reliable tap and the swivel spout, making it ideal for 1.5 and double bowl sinks, come together to provide a practical kitchen tap. The chrome finish and Victorian style design complement each other, providing an elegant and contemporary feel.